I have never been a fan of sweet potatoes, except when it comes to this recipe. 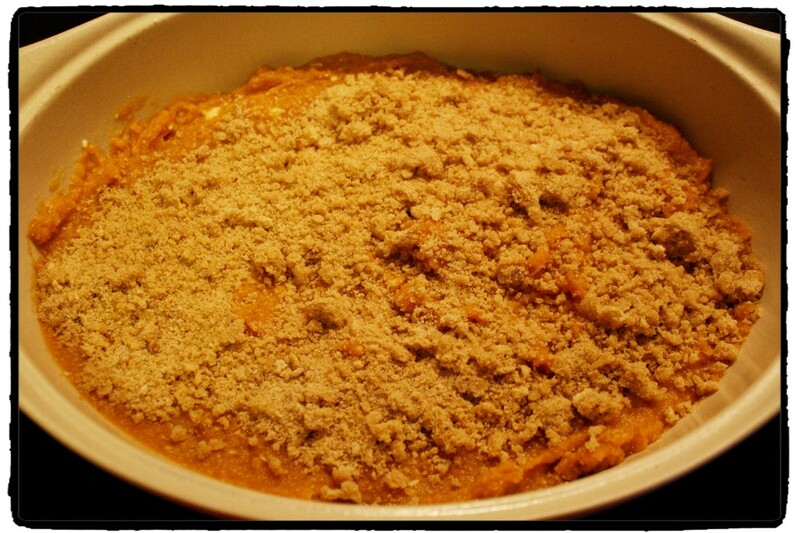 I absolutely LOVE this sweet potato casserole recipe. It is the perfect side dish for Thanksgiving or anytime you are craving sweet potatoes and plain ol baked sweet potatoes won’t cut it! This recipe is simple, quick, and on the table in no time. No need to slave in the kitchen all day on Thanksgiving. Since I’m the only one in the house at the moment that will eat sweet potatoes in any form, I halved the recipe for purposes of taking pictures and preparing it for myself a few nights ago. If you have a smaller family, halving the recipe works extremely well. 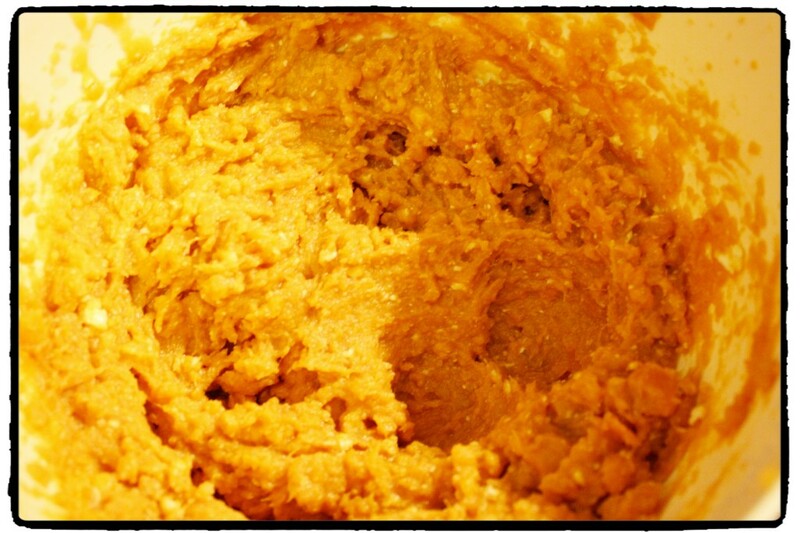 I started out by combining my can of sweet potatoes or yams, sugar, butter, milk, vanilla, and eggs in a bowl. Beat this with a hand mixer until you get the yams and ingredients completely incorporated. Be careful as this mixture will spatter as evidenced by my kitchen wall when I was done! Once the mixture is combined, you can then add in the optional pineapple. Make sure the pineapple is drained WELL. If it has a lot of juice remaining, the casserole might be to moist to set up properly. I usually leave my pineapple to drain in a colander for a while and then mash it between paper towels until it is good and dry. Pour the mixture in to a casserole dish. 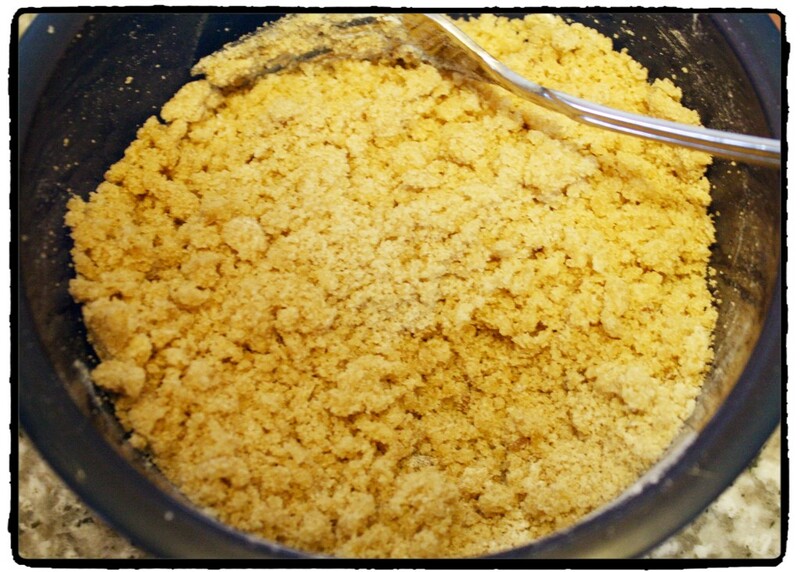 Prepare the topping by combining the butter (use stick butter), brown sugar, and flour. 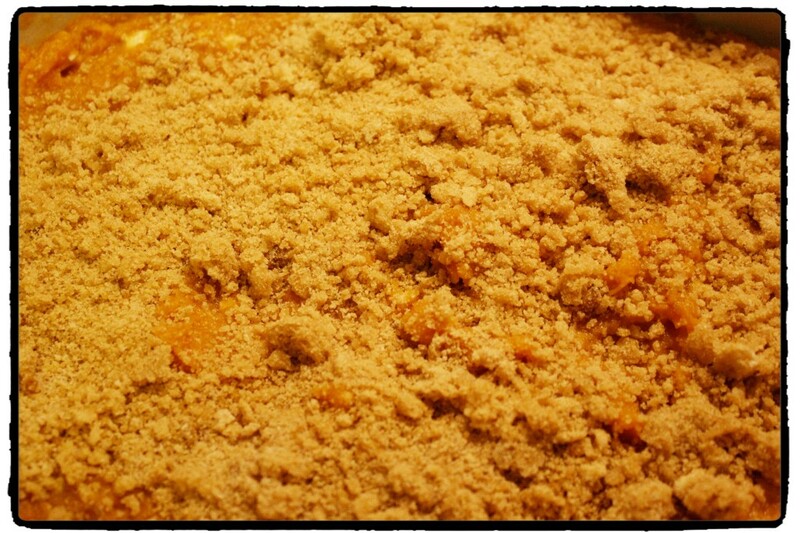 Mash with a fork until the mixture is crumbly. Sprinkle the brown sugar mixture on the top. If you like pecans, you can add them in to this mixture as well. Place in a 350˚ oven for 30 minutes. 1. 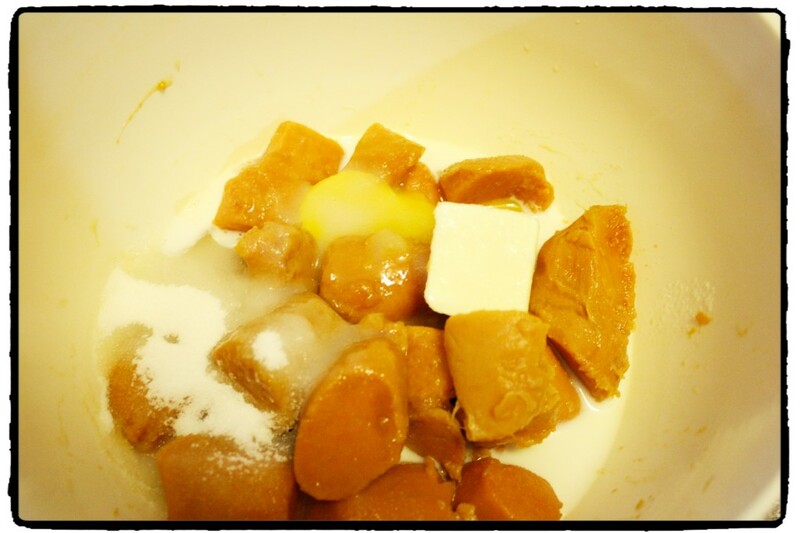 Beat sweet potatoes, eggs, sugar, vanilla, milk, and 1/2 cup butter together. Add optional pineapple. 2. Place in a casserole dish. 3. Combine 1/3 cup butter, flour, and brown sugar. Spread over casserole. Add optional pecans. 4. Bake at 350˚ for 30 minutes. I’ve never thought of using pineapple with sweet potato, might have to try it out. Thanks for sharing on the weekend re-Treat link Party. This is a great recipe! I probably would do it without the pineapple. Thank you for linking up to the Bloggers Brags Pinterest Party, and I have pinned this to the Bloggers Brags board.